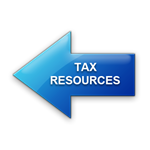 ​​​This page was created to give you answers to common tax questions we receive. Contact us if we can help clarify anything! ​How do I ensure accurate pay withholdings? How does changing jobs or having multiple employers affect my withholdings? How can I still owe if I claim “0” on my W4? How are my taxes affected by receiving a lump sum of income? Should I utilize my employer's flex account, or take the child care credit? Should I participate in my employer's flex spending account for medical expenses? How does the premium tax credit work? ​Can I deduct employee-related business expenses? Are my gambling losses tax deductible? Is my car registration fee deductible on my tax return? ​Are there any tax deductions for my motor home, boat, or travel trailer? ​How does the electric vehicle tax credit work? What tax & financial tips should I know for my business? How do I determine what is considered a business expense, verses a personal expense? When are work "uniforms" tax deductible? What is depreciation for business assets? My business is currently structured as a sole proprietorship, should I incorporate? ​How long should I keep various tax records? I'm married...should I file joint, or separate? Why is my state refund taxable? Why did I get a notice about additional taxes owed after filing my return and paying the taxes due? ​When does the IRS charge interest/penalties and how are the amounts calculated?